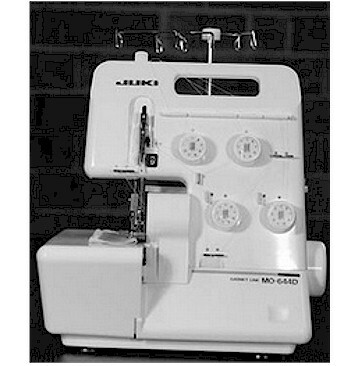 Features of the JUKI LOCK are 3/4 thread conversions, built in thread-cutter and safety finger guard. Easy lay in thread guides and simple adjustment of stitch bight. Uses household needles, has built in roll hemmer. Two thread attachment available for all machines.